There is no greater all-around artist in modern comics than Jaime Hernandez, and his recent work builds on his past successes so that his oeuvre as a whole is shaping up to be one of literature's best sustained stories about aging and the shifting of relationships over the course of a life. 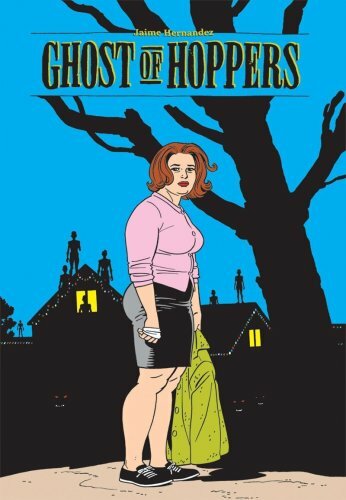 --Ed Howard ""The Best Comics of the Decade" ""
Collects the new adventures of Maggie Chascarrillo, as serialized in the Love & Rockets comic book. Maggie is now the resident building-manager of the notorious Capri Apartments deep in the heart of the San Fernando Valley, where imaginary dogs roam its walkways, all the air conditioners are broken, and the empty swimming pool is covered with flies. As if the eccentric, oddball tenants weren't weird enough, Maggie's houseguest and old friend Izzy Ortiz shakes things up with her usual nervous breakdowns, nocturnal screaming, and obsessive fly-swatting.